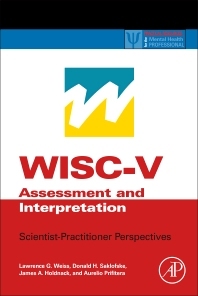 Appendix 2B How is WISC-V Different from WISC-IV? What do we Know about the Flynn Effect? The authors offer insightful recommendations for best practices in cognitive assessment. Generally, the layout of the book is clear, concise, and written with a diverse audience in mind. In addition, the use of figures and tables throughout each chapter also helps enhance overall readability.